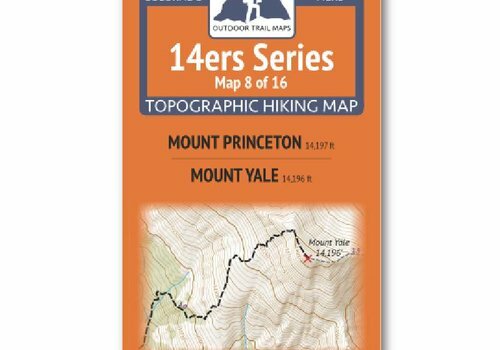 You already know how it feels to bag a peak. 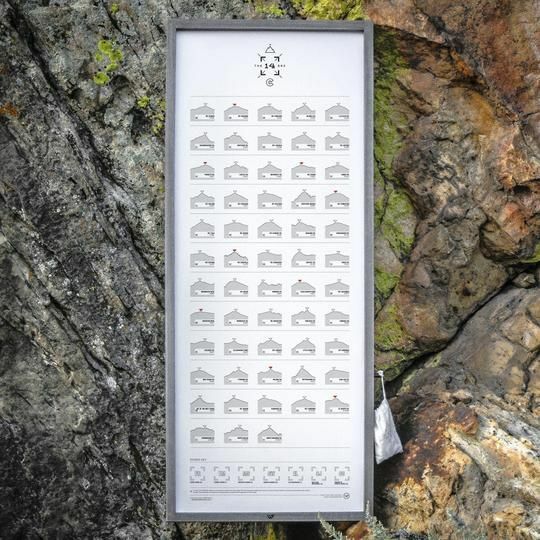 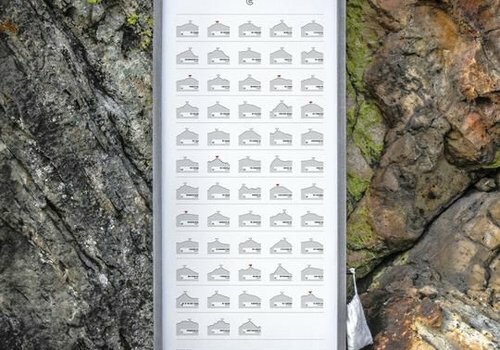 Now you can track each successful climb and display your obsession in a sophisticated way with this beautiful print. 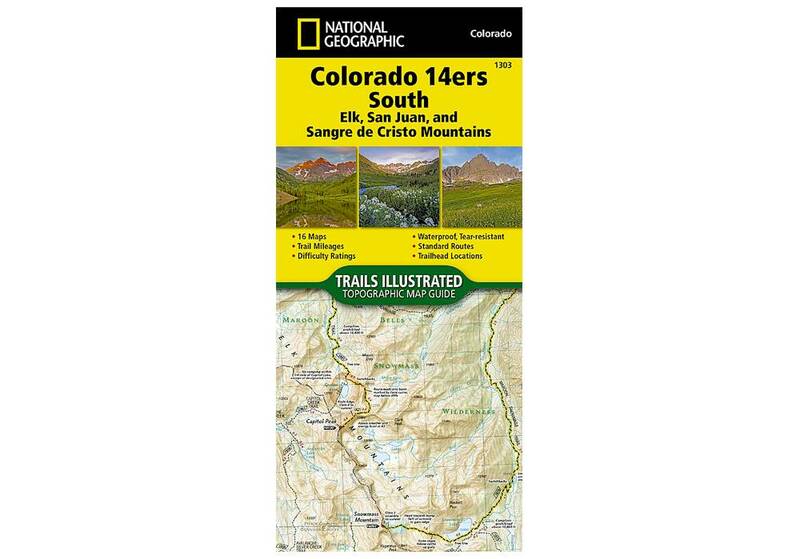 Includes stamp kit. 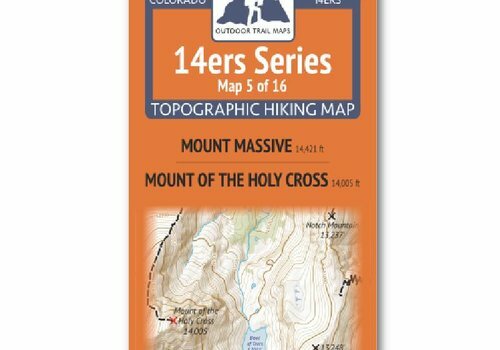 This print comes rolled. 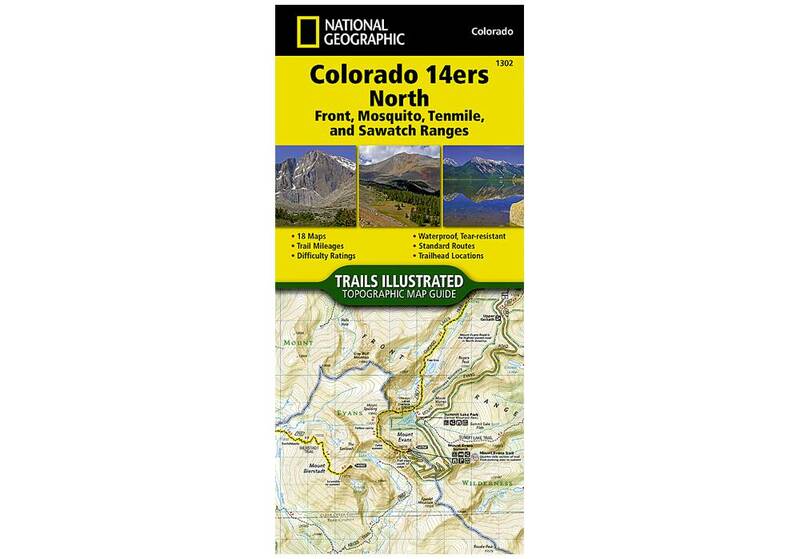 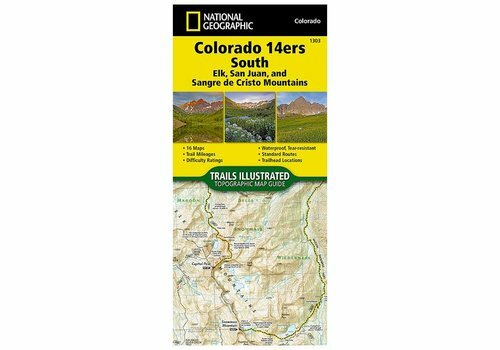 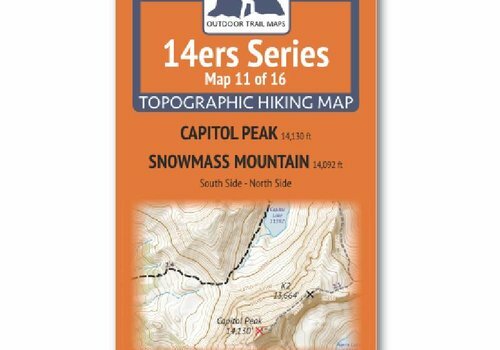 14ers Series Topographic Hiking Map 11 of 16 covers fourteeners Capitol Peak and Snowmass Mountain (south side) on the front and Capitol Peak (north side) on the back, including all hiking trails in the surrounding areas. 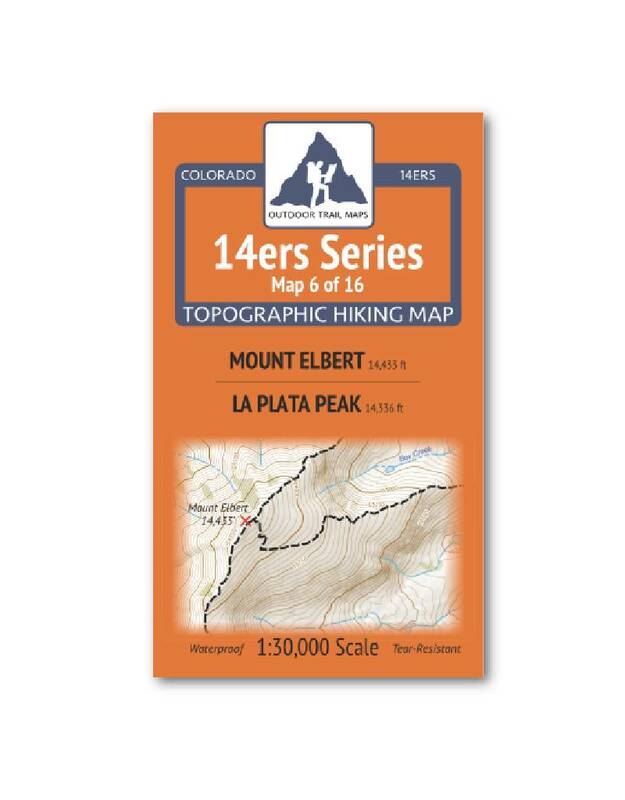 14ers Series Topographic Hiking Map 6 of 16 covers fourteeners Mount Elbert on the front side and La Plata Peak on the back, including all hiking trails in the surrounding areas. 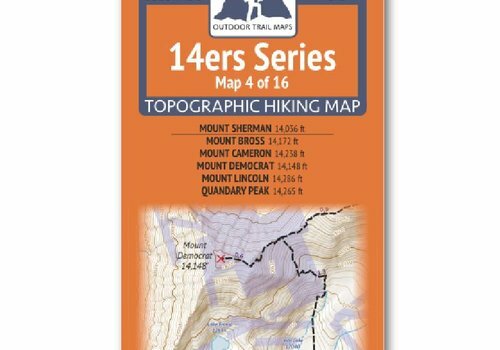 14ers Series Topographic Hiking Map 4 of 16 covers Mount Sherman on the front side and Mount Bross, Mount Cameron, Mount Democrat, Mount Lincoln and Quandary Peak on the back, including all hiking trails in the surrounding areas. 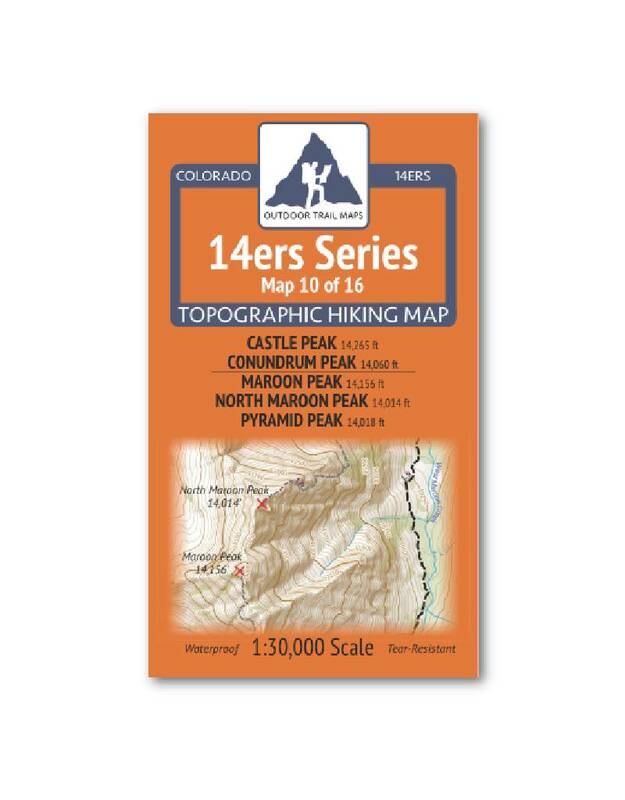 14ers Series Topographic Hiking Map 10 of 16 covers fourteeners Castle Peak and Conundrum Peak on the front side and Maroon Peak, North Maroon Peak and Pyramid Peak on the back, including all hiking trails in the surrounding areas. 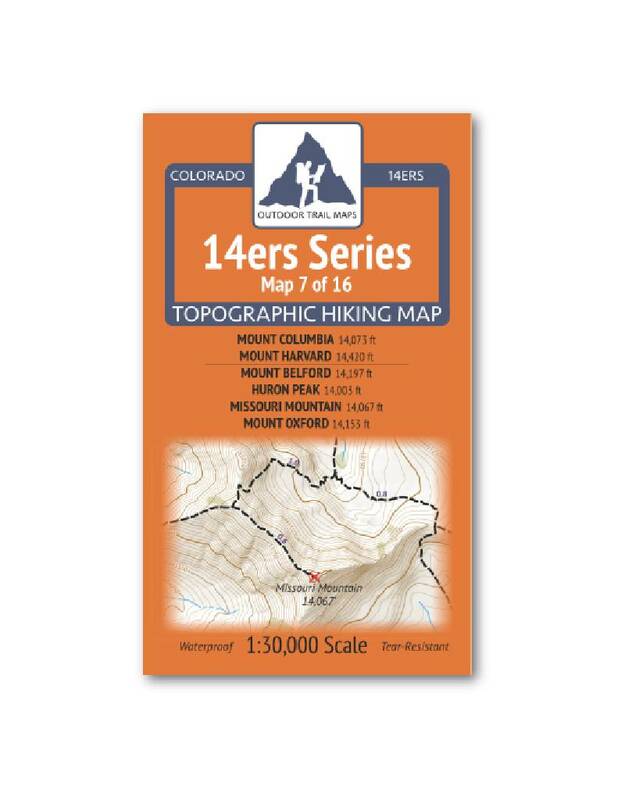 14ers Series Topographic Hiking Map 15 of 16 covers Mount Sneffels on the front side and Handies Peak, Redcloud Peak and Sunshine Peak on the back, including all hiking trails in the surrounding areas. 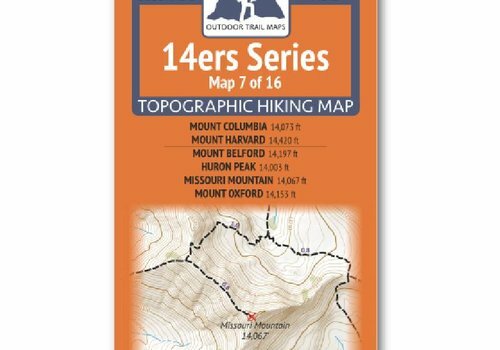 14ers Series Topographic Hiking Map 7 of 16 covers fourteeners Mount Columbia and Mount Harvard on the front side and Mount Belford, Huron Peak, Missouri Mountain and Mount Oxford on the back, including all hiking trails in the surrounding areas. 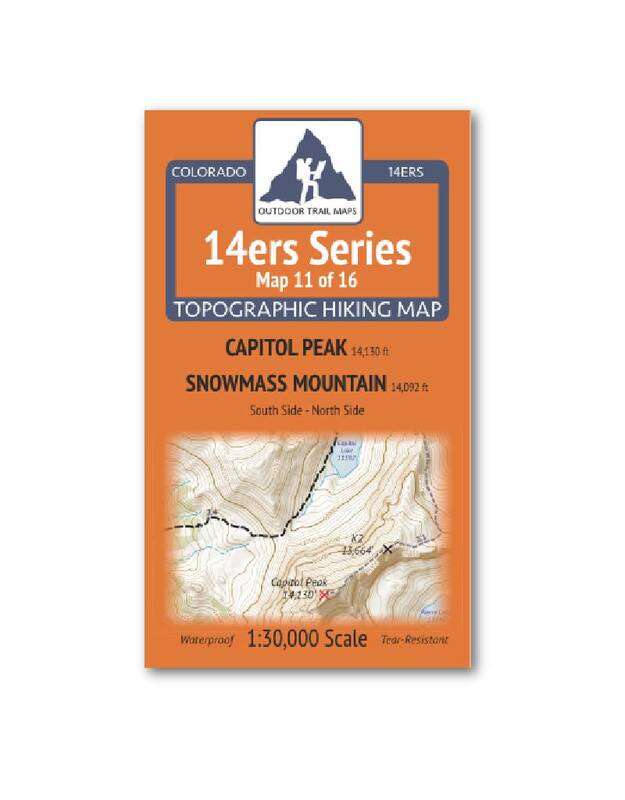 Colorado has the highest mean elevation of any state in the United States. 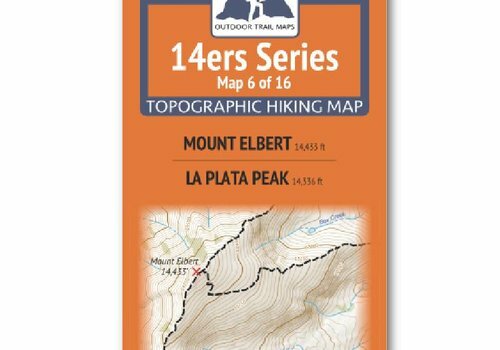 It's home to 58 mountain peaks higher than 14,000 feet—more than any other state in the U.S—making it a mountain sports mecca. 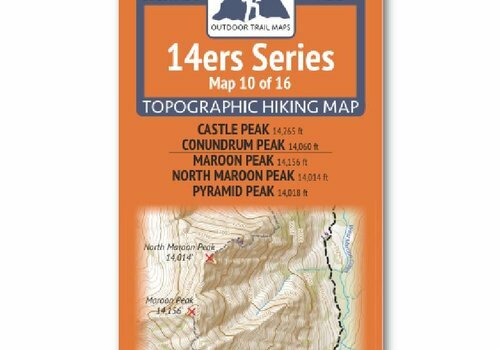 14ers Series Topographic Hiking Map 16 of 16 covers fourteeners El Diente Peak, Mount Wilson and Wilson Peak on the front side and Mount Eolus, North Eolus, Sunlight Peak and Windom Peak on the back, including all hiking trails in the surrounding areas. 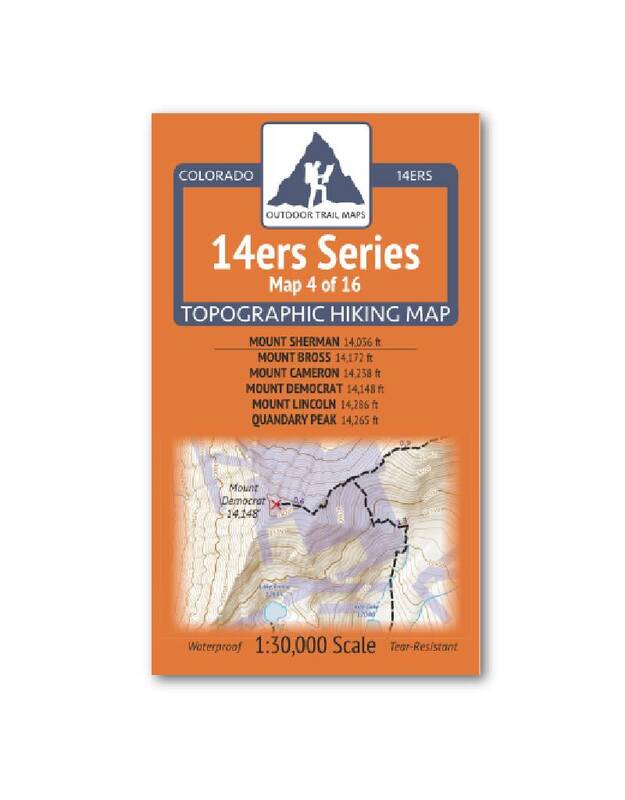 14ers Series Topographic Hiking Map 9 of 16 covers fourteeners Mount Shavano and Tabeguache Peak on the front side and Mount Antero on the back, including all hiking trails in the surrounding areas. 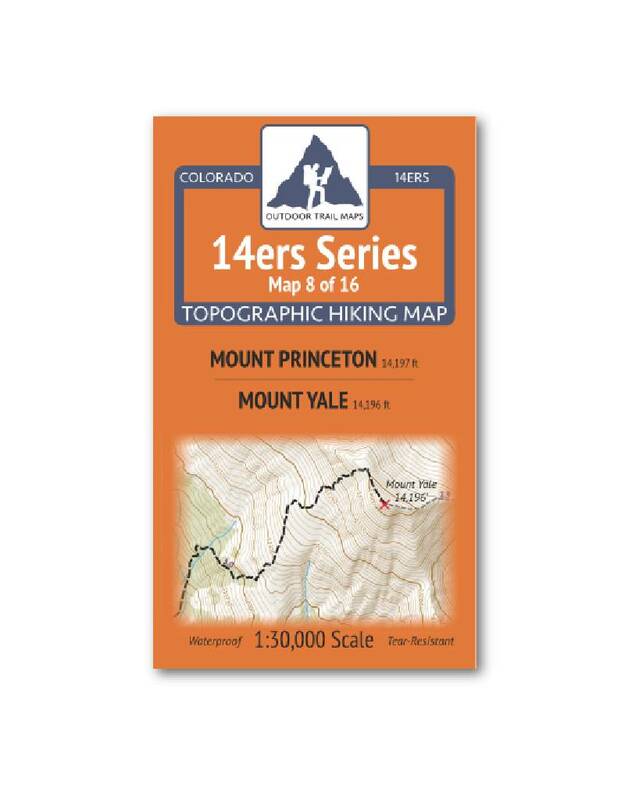 14ers Series Topographic Hiking Map 8 of 16 covers fourteeners Mount Princeton on the front side and Mount Yale on the back, including all hiking trails in the surrounding areas. 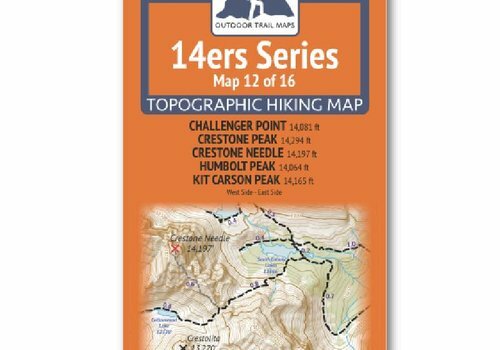 The Colorado 14ers South Topographic Map Guide provides the most accurate and convenient set of maps for the fourteeners of the Elk, San Juan, and Sangre de Cristo ranges of southern Colorado. 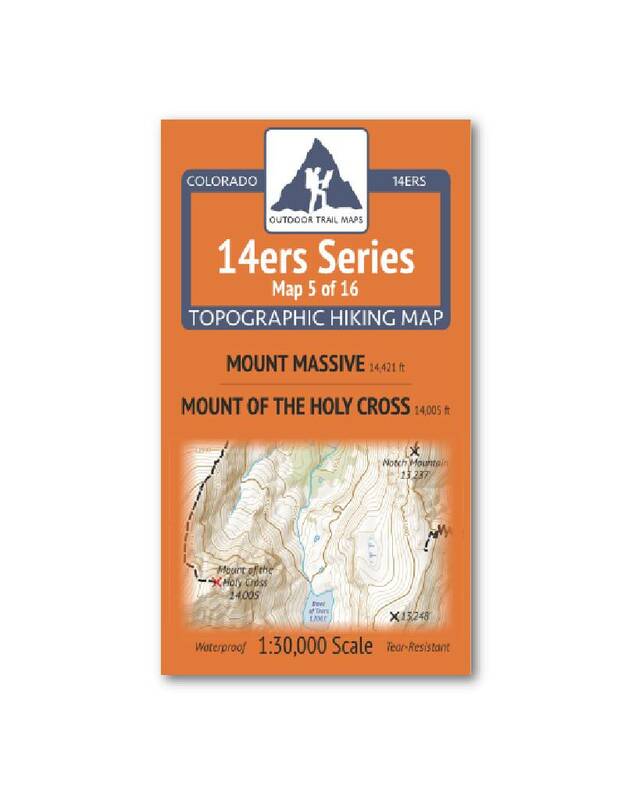 14ers Series Topographic Hiking Map 5 of 16 covers fourteeners Mount Massive on the front side and Mount of the Holy Cross on the back, including all hiking trails in the surrounding areas. 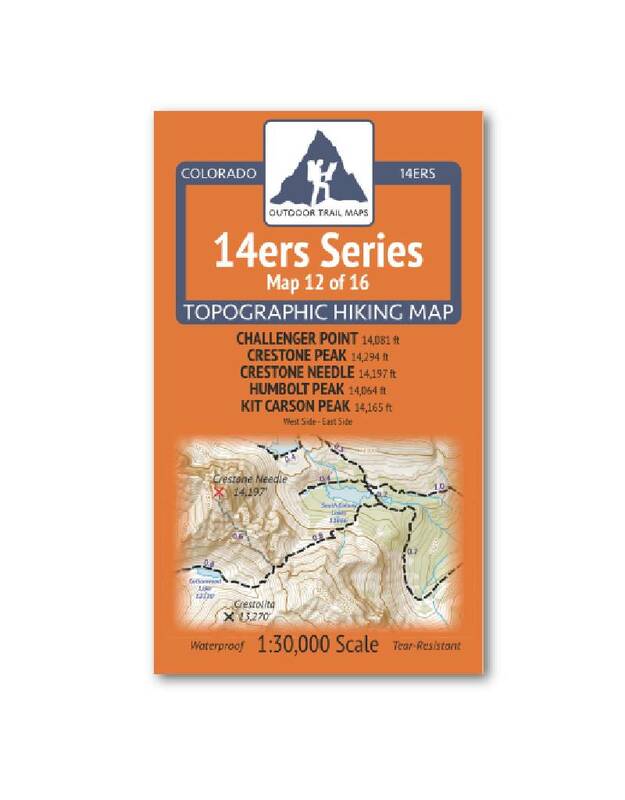 14ers Series Topographic Hiking Map 14 of 16 covers fourteeners Uncompahgre Peak and Wetterhorn Peak on the front side and San Luis Peak on the back, including all hiking trails in the surrounding areas.